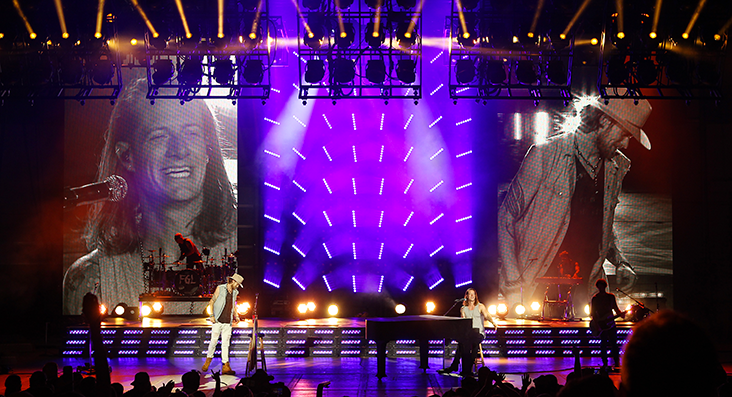 The multi award-winning country duo, Florida Georgia Line, took their third album Dig Your Roots on a 69-date tour across America in 2016 with a show that marked their emergence into a new stage of their life and career. 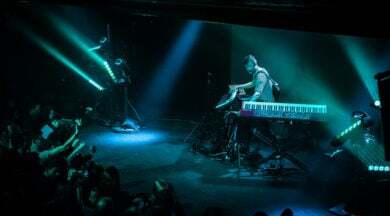 To showcase the duo’s innovative fusion of country, rock, hip-hop and pop, co-designers Baz Halpin and Chris Nyfield of Los Angeles-based Silent House created a show that was both dynamic and intimate, helping to connect the duo with their audience in a way that typified their edgy brand of music. 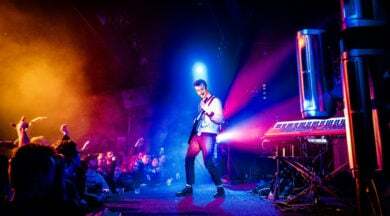 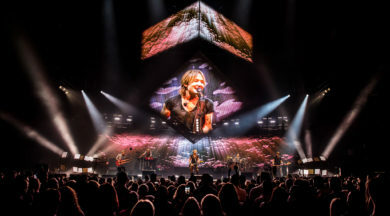 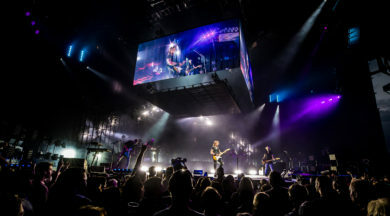 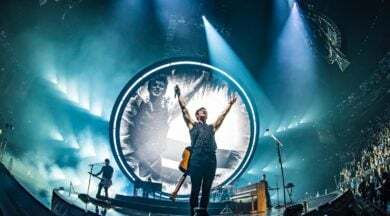 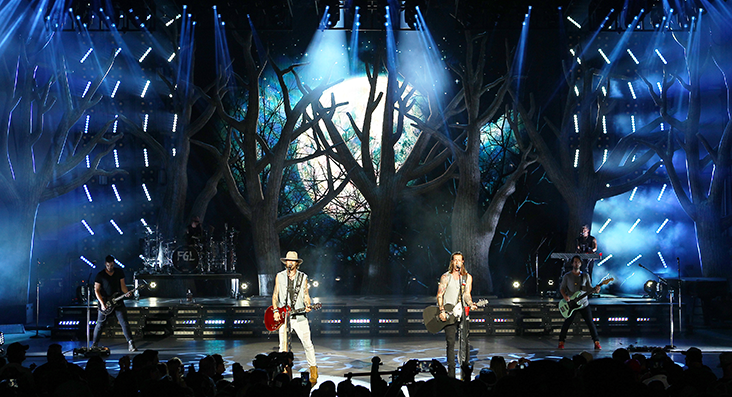 FGL’s tour was a truly studio-wide design for Silent House with the concept kick-started at a meeting between Halpin and the duo, Tyler Hubbard and Bryan Kelley, to brainstorm some ideas. 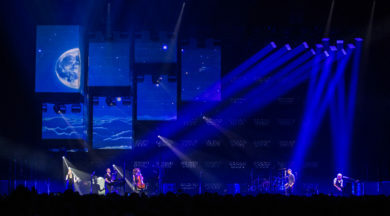 Those concepts were then passed on to Silent House production designer, Tamlyn Wright, whose initial set layout and renderings were approved by Hubbard, Kelley, and their management team at Big Loud Mountain, before Nyfield began the process of turning the renderings into a tour-able design. 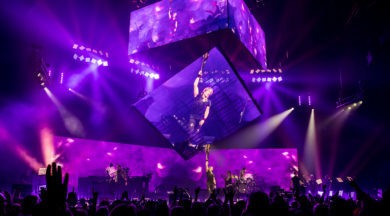 The visual anchor of the design was based around two automated tracks, provided by SGPS, which ran upstage of an elevated stage level. 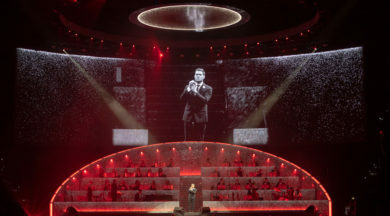 The downstage track carried a bi-parting 4:3 LED video wall, and the upstage track carried two travelling panels rigged with 64 MagicBlade™R fixtures (32 per panel) and strobe lighting. 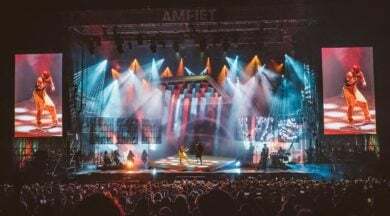 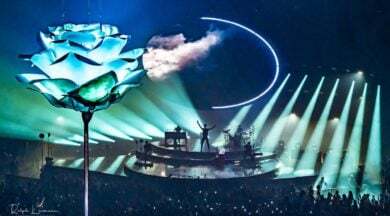 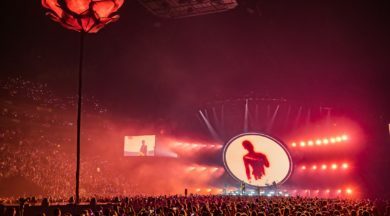 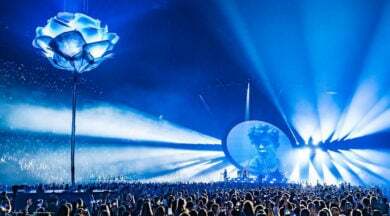 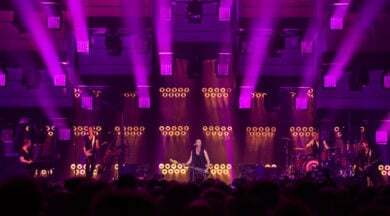 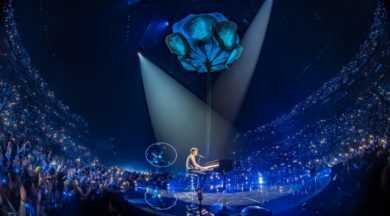 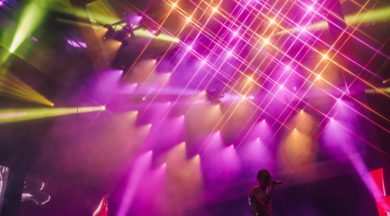 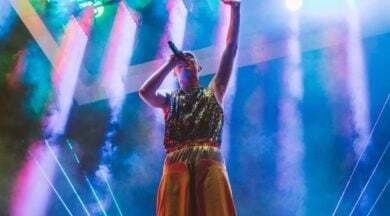 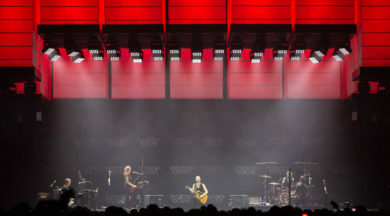 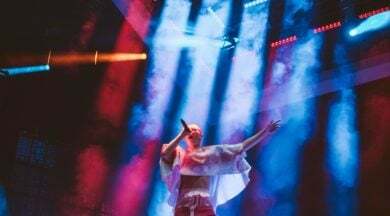 “By splitting the LED wall and travelling the halves offstage, it allowed us to have a central wall of light flanked by two LED video columns,” explains Nyfield. 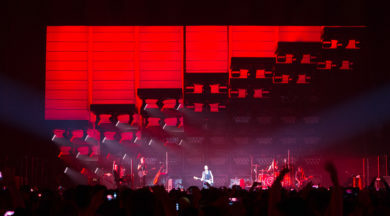 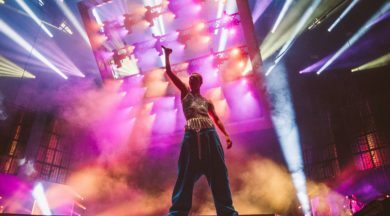 “Inversely, if we travelled the lighting panels offstage, we could have the 4:3 LED wall flanked by the lighting panels.” This gave the design team an expanded palette of possibilities to back the duo and create a series of very different looks throughout the show. 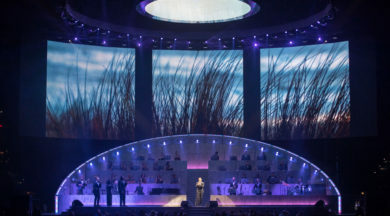 The flexibility of the MagicBlade™R units were key elements, not only as they alternated between their central or flanking positions to frame the singers, but also by altering the shape and texture of the backdrop. 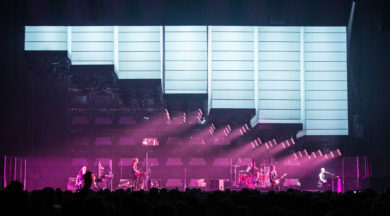 MagicBlade-R’s precision alignment allowed the team to array them sometimes as vertical strips, sometimes diagonal slashes, at one point even forming a descending array of squares, and to change the mood of the lighting through monochrome or multi-coloured palettes. 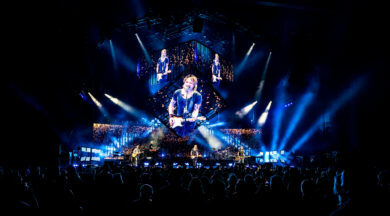 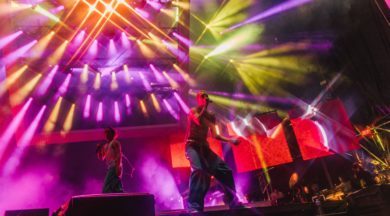 “The continuous spin feature worked very well in the array,” says Nyfield, “and we were able to use the MagicBlade™ units to provide some really unique looks by tilting the light around to light up the other fixtures and frame work. 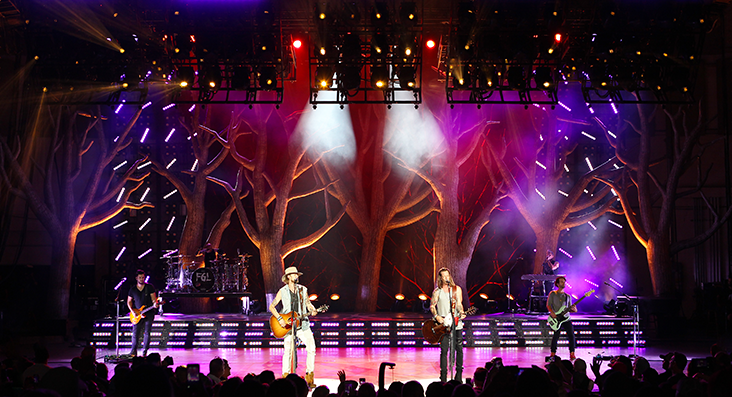 MagicBlade™R also got full marks for installation and tour-worthiness from the technical crew. 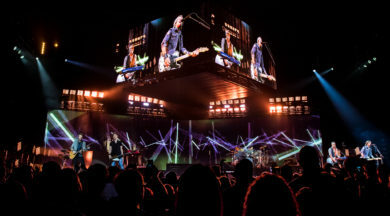 “These lights are straight up plug-n-play, with all of the connectivity options you need and want,” confirms Nyfield. 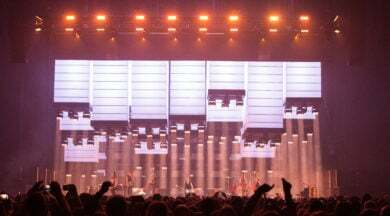 “The tracking wall and tracking pods required us to be particular about our focuses, but other than that there were no major challenges. 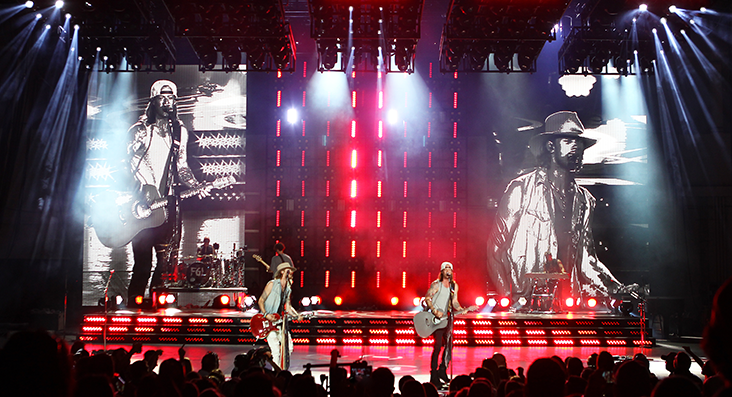 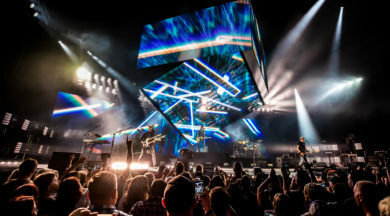 Ayrton’s MagicBlade™R fixtures were supplied for Florida Georgia Line by the tour’s lighting vendor, PRG.